The project is located next to the Smithsonian Anacostia Community Museum (1901 Fort Place, SE) and all events will take place in that location. 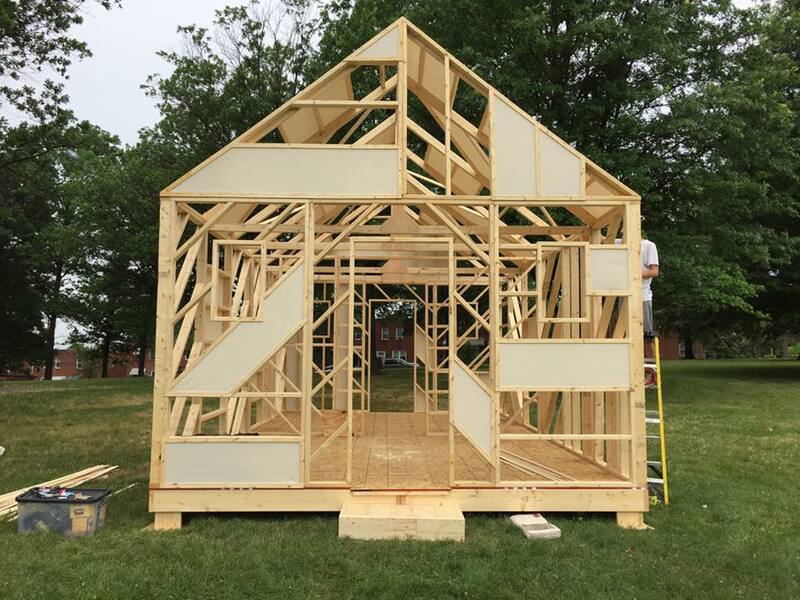 Inspired by the story of African-American families who built their homes in the historic Barry Farm/Hillsdale neighborhoods by candlelight after returning home from a long day’s work, artist Holly Bass will lead us in a thoughtful discussion about community and home. What does it take to build a home? And how do we sustain home, both in the personal sense as well as in the larger DC community? We'll also learn about the history of the neighborhood from historian Alcione Amos. Complimentary food provided by Capitol Hill Crab Cakes. Following the supper talk, we'll head directly to the Anacostia Playhouse for the immersive dance theater production, Still Life with Rocket, presented by Theater Alliance. No need to decide in advance--choose-your-own-price tickets will be set aside at the door for attendees. This presentation tells the history of the creation of the postbellum settlement of Historic Barry Farm. Settled by freedpeople who came to Washington DC as refugees during the Civil War it became a successful African -American community well into the 20th century. Alcione M. Amos is a historian and curator at the Smithsonian Anacostia Community Museum. She is writing a book telling the history of Barry Farm from its creation in 1867 to 1980. To celebrate the 150th anniversary of the establishment of the post-Civil War freed people’s community of historic Barry Farm this talk will describe the results of over 30 years of archaeological investigations in the neighborhood. 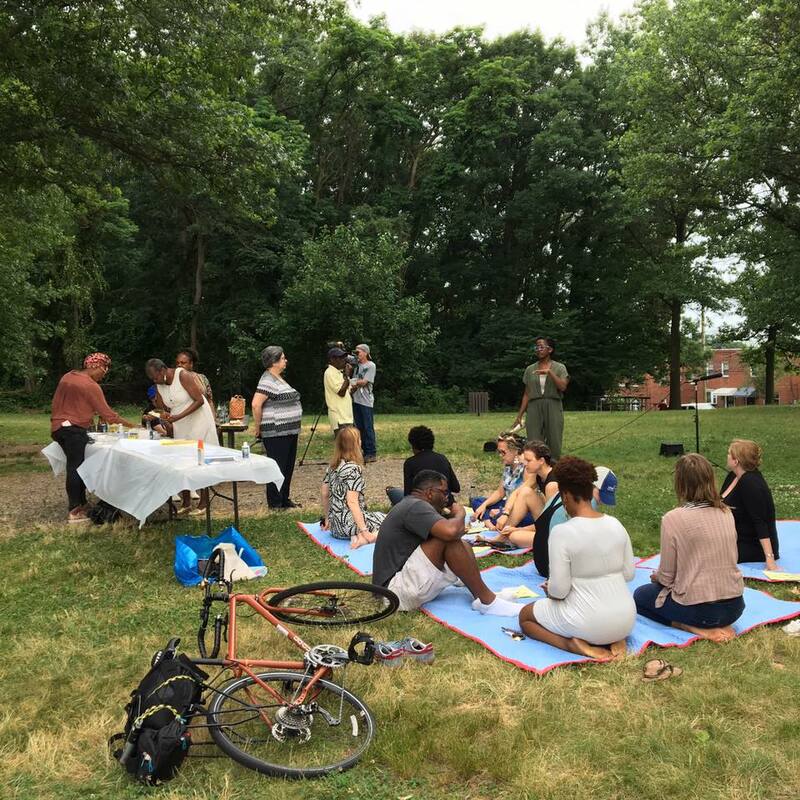 Situated on the banks of the Anacostia River, this area was a productive landscape for prehistoric Native Americans and for formerly enslaved African Americans after the Civil War. By combining archaeological evidence with documentary research, the social and economic choices available to African American consumers at the turn of the 20th century will be investigated. Objects found in the attic of a house occupied by a licensed midwife in the early 1900s will be used to explore themes of emancipation, land ownership, home, material culture, and community. A selection of these objects will be on display courtesy of the Anacostia Community Museum. Since 2010, Chardé Reid has been the Assistant District Archaeologist of the District of Columbia. She participates in all aspects of the archaeological program at the DC Historic Preservation Office, including field work, collections management, compliance review, outreach, and education. Chardé received her B.A. in Archaeology in 2009 from the George Washington University and will begin her studies towards a PhD in Historical Archaeology at the College of William and Mary in August 2017. Jennifer Saunders received a B.A. from the College of William and Mary and is a freelance archaeological and historical consultant. She worked with the D.C.HPO and the Anacostia Community Museum on the collection of objects from the attic at 3038 Stanton Road House, and assembled the research on the Taliaferro family and midwifery. In many cultures, the talking stick is a symbol of democracy, a sacred object that ensures all voices will be heard. Join artist and Anacostia resident Amber Robles-Gordon in a hands-on creative workshop. Using Robles-Gordon's signature multi-colored textile strips, participants will fashion unique talking sticks that represent a personal memory or pressing issue on the theme of “home.” A guided conversation will provide participants an opportunity to put their talking sticks to use, sharing inspirations and reflections on what it means to call DC home in this particular moment, and the transformative act of art making. No art experience necessary. Appropriate for ages 12 and up. Refreshments will be provided. An afternoon open house party! Storytelling, portrait photography, pizza, ice cream, music, conversations, and more! Music by Charlie Sayles & the Blues Disciples! Ice cream from Milk Cult! The DC HPO Archaeology Program will have family-friendly activities and hands-on displays on the archaeology and history of the neighborhood. Archaeologists will be there to answer your questions and demonstrate the uses of real and replica artifacts. We will also explore foodways of past peoples, from Native Americans to the present. We will also discuss the role of the church in the community. We'll also be joined by Patsy M. Fletcher who has worked for the DC Historic Preservation Office for the past 12 years to coordinate its neighborhood heritage initiatives. Previously, Fletcher worked in HUD-assisted and public housing communities for over 10 years delivering services that included resource development, non-profit management and capacity-building, and micro-enterprise development. Ms. Fletcher’s areas of interest include 19th century African American places of leisure, Prince George’s County slavery and freedom-seeking, and the history of African American architects. She is the author of Historically African American Leisure Destinations Around Washington, D.C. published in December 2015. 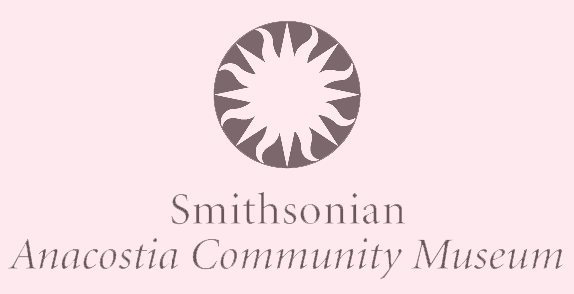 Alcione Amos, curator and historian at the Smithsonian Anacostia Community Museum will be on hand to provide historical context. The Anacostia Community Museum will feature an indoor exhibit featuring artifacts from nearby archaeological excavations. 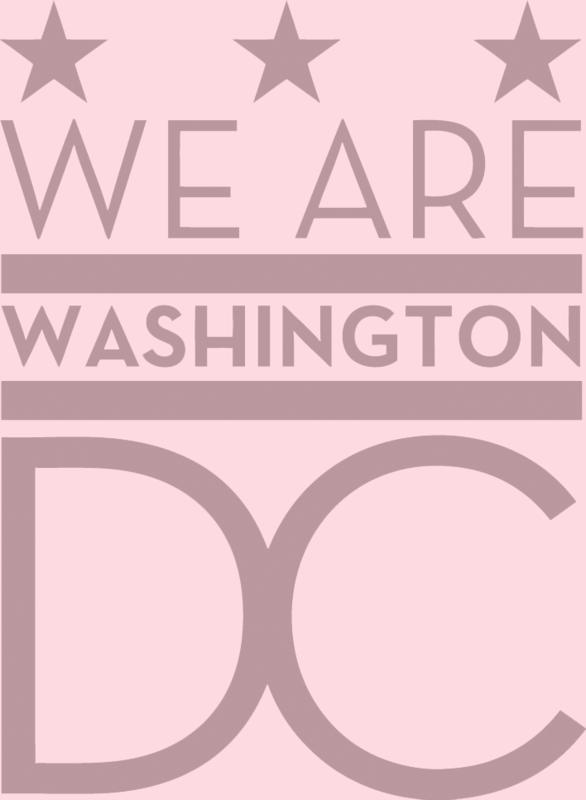 Imagined and produced by The Pink Line Project + Citizen Innovation Lab, in partnership with the DC Historic Preservation Office and the Smithsonian Anacostia Community Museum, funded by DC Office of Planning and the Kresge Foundation.